The 2012 edition of our award-winning reference book is the last one in the series; there will be no 2013 edition. After its continuous annual publication for the last 20 years, the publisher has decided to cease publication of our book. It seems that an increasing number of transcriptionists stretched the purchase of new editions of Drake & Drake from every year/every other year to once every 3 or 4 years, which has driven sales below the point of profitability. In fact, many transcriptionists have stopped buying professional references altogether, which suggests the eventual demise of all professional medical references written specifically for transcriptionists. Some transcriptionists are using Internet resources for “free” medical information. Most medical information sites on the Internet contain information for consumers — often incorrect — and “forums” where anyone can chime in with an opinion. They are not aimed at allied health professionals, and therefore do not contain the information transcriptionists require, in a format that allows you to quickly look up the information and get back to work. The few medical information sites that are reliable and up-to-date charge a subscription fee, often substantial. • One of the best, most comprehensive, and most complete drug references is Drug Facts and Comparisons. You can get it as a loose leaf edition with monthly updates for $549/year (this is the version we use). Or as an annual reference book for $267.25. Or as an annual “pocket version” (abbreviated book) for $95.95. Electronically, Drug Facts and Comparisons is available as an annual CD-ROM for $270. Or as a CD-ROM updated monthly (contact the publisher for the annual subscription price). They also have an online version (contact the publisher for the annual subscription price). 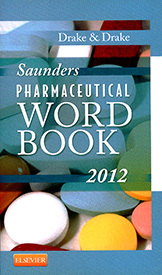 • Another reference we use is Martindale’s Complete Drug Reference. It runs $775 for the two-volume set, which is published every other year. It contains information on 6,000 generics, 161,000 brand-name drugs, and includes information that’s difficult to find in other resources. We’re sorry that the publisher has decided to discontinue the publication of our book, but we understand the reasoning behind that decision. We thank you for your support over the years. Click here for the latest healthcare news, cutting-edge research, and high-quality supplements.